If you are an insurance broker, and were wondering how you are supposed to protect against having your commission agreement breached, a decision that was rendered by a New York Federal judge that was later published in the New York Law Journal provides an excellent roadmap. In Guy Carpenter & Company v. Lockton, RE, LP, the plaintiff entered into a broker's agreement that was terminable at will, whereby they would earn commissions upon the placement of reinsurance contracts by two insurers, Zephyr and Safe Harbor. Shortly after the business was placed, one of the plaintiff's brokers left to go work at a competitor, Lockton, at which point the insurers took their business to Lockton. As is customary in the insurance field, GC & C would receive their commissions by withholding a percentage of the clients' quarterly premium payments, and then transmit the remainder to the re-insurer. "[The insurers] were legally obligated to pay the full amount of the commission to Guy Carpenter ... when the Reinsurance Contracts were placed. The fact that the contract allowed [the insurers] to pay that commission in installments is irrelevant; they owed Guy Carpenter the entire amount as soon as the reinsurance was placed." Further, since the agreement called for GC & C to "to deduct a fixed percentage of the quarterly premium payments" to exact their payment, these were deemed "specifically identifiable funds," and thus sufficient for purposes of proving a conversion claim. (4) an actual breach of the Broker Agreement. See, e.g., Lama Holding Co. v. Smith Barney Inc., 88 N.Y.2d 413, 424 (N.Y. 1996). The plaintiff in this case clearly benefitted from the fact that the contract spelled out precisely when his commission was fully earned - and that is what saved his claim. Therefore, at the risk of stating the obvious, it behooves insurance brokers - or any broker for that matter - to make sure that their agreements are very clear as to when their commissions are deemed earned. (It could save you a lot of aggravation down the line). 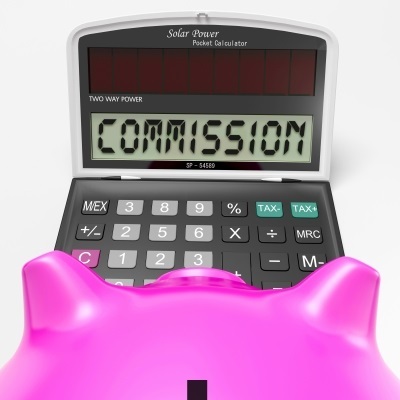 Post a Comment to "The Single, Best Way to Protect Your Broker's Commissions"